‘Occupiers’ liability, in laymen’s terms, is when an owner of private land or property such as a business, shop, restaurant or sports centre, for example, is liable for any injury caused to a person on their land/premise as a result of poor maintenance, poor design, poor signage etc . Injury in a car park as a result of a pothole, cracked pavement etc that was not clearly signed or cordoned off. Injury from falling down stairs or steps due to lack of safety notice, a handrail, slippery surface or badly maintained staircase. Injury from badly maintained or broken apparatus in a sports centre, playground or farm park. Laceration from broken or badly maintained ‘edge’ for example a door, furniture, equipment. Injuries to a tenant caused by defective property. I have been injured, can I make an occupiers liability claim? If you find yourself or a loved one is injured and not at fault then these are the factors to consider before making an occupier liability claim. Business owners and services have a duty of care to ensure that their premises, including all the land they are responsible for (eg carparks, rivers, lakes and roads) are safe for the general public. Was the danger obvious and if not were there warnings or signage of the risks? Was the accident area well-lit with adequate barriers or support if the ground was uneven? The age of the injured party ie elderly or small children; allowances should be made for the lack of mobility of visitors or lack of knowledge and understanding of any warnings in place. What will I need to prove my Occupiers Liability claim? The best evidence is photographic evidence showing the cause of the accident and with measurements to show scale and provide detail. The claimant must be able to provide detail of exactly where, why and how the accident happened and be clear on what the danger was and how it was preventable. Also who is responsible, the ‘occupier’? 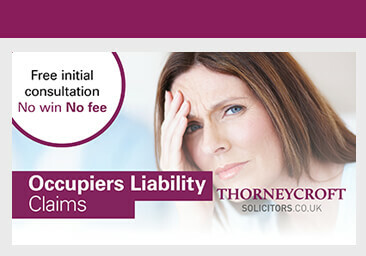 At Thorneycroft Solicitors our expert team offers the highest levels of legal expertise and will advise you on what procedures you need to follow when making an occupiers liability claim. We understand the process and will also assist you in obtaining evidence to support the claim and identify any long-term effects that may need to be considered. 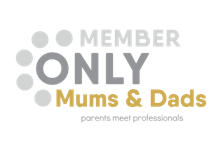 Our experience means that we can make the claim as straightforward and stress free as possible.